Forget heights and sharks. 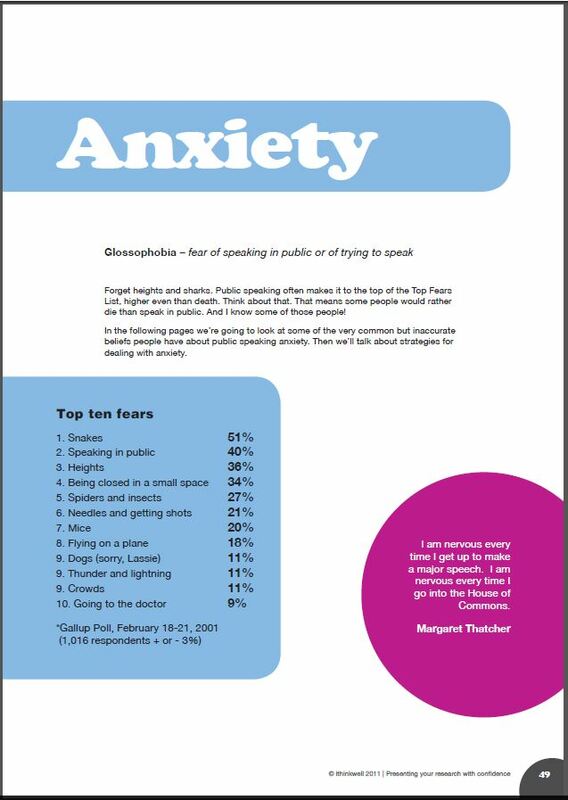 Public speaking often makes it to the top of the Top Fears List, higher even than death. Think about that. That means some people would rather die than speak in public. And I know some of those people! 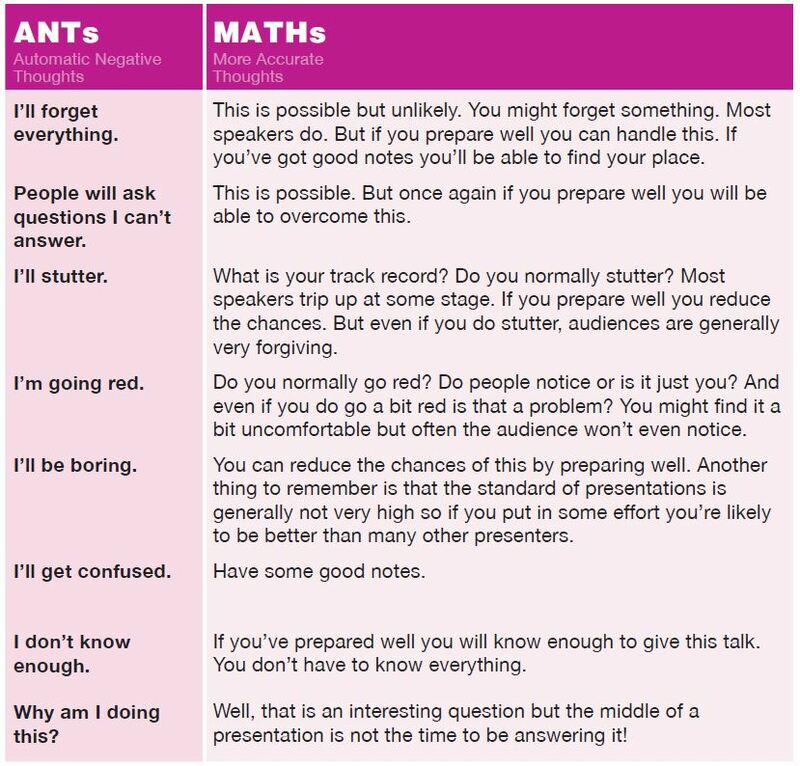 The following pages look at some of the very common but inaccurate beliefs people have about public speaking anxiety. And then they provide strategies for dealing with anxiety. “I am nervous every time I get up to make a major speech.